Solo traveling is a journey full of freedom. You walk where you want to walk, drink what you want to drink, shop where you want to shop and break whenever you want it. All roads are open for you. You get more, go further and embrace your surroundings. Bali is definitely a great place for solo travelers. It’s very beautiful, safe and has a lot of attractions. Let’s find out the awesome things to do in Bali for solo travelers. The best part of Bali is the beach. The Island of the Gods has amazing beaches. Along the coastline there are many well-run tourist spots. By renting a motorcycle that costs Rp 50,000 / day, you can ride along the southern coast of Bali which will be a pleasant experience. You can start the adventure from Kuta Beach which is a must visit place. Then head for Jimbaran Beach which is famous for its sea food restaurant. The next destination is Balangan Beach which has white sand and the atmosphere is less crowded. Then head for Dreamland Beach which is clean and beautiful. Next is Padang Padang Beach that has appeared in the movie Eat, Pray, Love starring Julia Robert. From there the journey is forwarded to Blue Point Beach which has exotic corals. 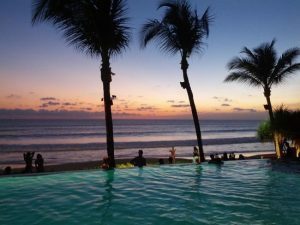 And the final destination is Uluwatu Beach which is the best place to see the sunset. Kuta Beach is located in Badung Regency. It’s only 15 minutes drive from Ngurah Rai International Airport. 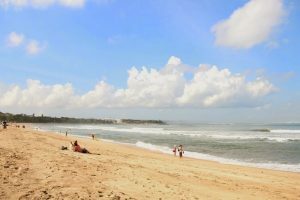 Besides Kuta Beach, there are still lots of beaches in Kuta. Bali is dubbed the Island of a Thousand Temples. For the people of Bali, visiting the temple has been the way of life. They will bring daily offerings to the temple or at certain times participate in a ritual ceremony. Travel to Bali is not complete without visiting some of the most important temples. 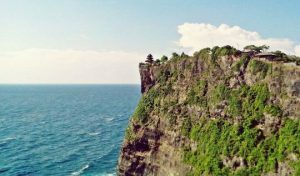 You can start the journey from Uluwatu Temple which is on the edge of a high cliff and facing the ocean. Then go to Tanah Lot Temple which is the icon of Bali tourism and often appears in postcards. The journey is forwarded to Taman Ayun Temple which is included in UNESCO’s World Heritage Sites. Then proceed to Tampak Siring Temple which is said to have been a resting place of Soekarno, the founding father. Next is Tirta Empul Temple which is famous for its holy spring water for self-purification. And the last destination is Besakih Temple which is the biggest and most important temple in Bali. Uluwatu Temple is located in Pecatu Village, South Kuta, Badung Regency. It’s about 45 minutes from Ngurah Rai International Airport. From here the journey continues to the north. 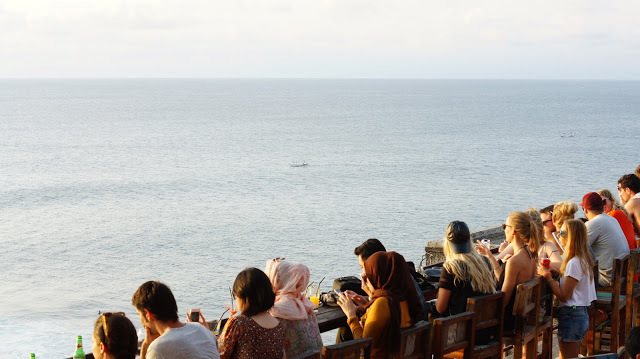 Anyway if you still have time, you have many things to do in Uluwatu. Bali is not only great for surfing, tanning and sightseeing, but also for dessert lovers and hang out enthusiasts. It is impossible not to fall in love with Bali’s cafés. There are many nice cafés that offer delicious menu with reasonable price and of course free wifi. The interior of the café, the atmosphere and the menu presented are a beautiful artwork and instagramable. Seminyak is the perfect place to start a café hopping. You can start from La Favela which is decorated with greenery and has a vintage décor. Then proceed to The Unique Dusty Café whose walls are made of red brick and is said to have the best veggie burger in Bali. Then go to Angelita Patisserie that serves French sweets. Moving to Kuta, you must visit The Harvest Patissier & Chocolatier which is famous for its confectionery and a variety of delicious treats. 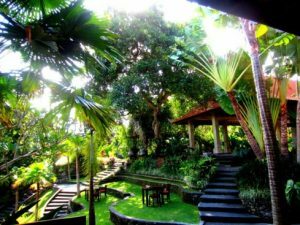 Going to Jimbaran, you must stop by Balique which is a beautiful vintage restaurant that serves Indonesian food and western food. 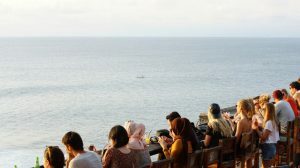 The last destination is the most popular cafe in Uluwatu, Single Finn. The cafe has views overlooking the ocean, it’s perfect for watching the sunset. Smoothie bowl and vegetarian pizza are among its favorite menu. Seminyak is located in Badung Regency. It’s only 30 minutes drive from Ngurah Rai Internasional Airport. In addition to cafes, you must also explore fancy clubs in Bali. Tour to museum is not always boring, especially if visiting museums in Bali. As a center of art, Balinese artists produce many art work such as paintings, wooden craft, leaves craft, bamboo craft, etc. Art lovers or not, you should not miss the chance to enjoy the beauty of the artwork that is immortalized in the museum. The Puri Lukisan Museum is a must-visit place to see the amazing art work of Balinese artists. The museum has a green atmosphere typical of Balinese garden. Paintings and sculptures displayed in the museum are classified into 3 times, namely Wayang Bali, Mid Bali, and Modern Bali. Besides, the museum that must also be visited is Renaissance Museum Antanio Blanco. Antonio Blanco was a Spanish artist who was married to a Balinese dancer, which ultimately produced a lot of Renaissance art work that was mostly Balinese theme. Puri Lukisan Museum is located in Ubud Street, Ubud, Gianyar Regency. The admission is Rp 75,000. Opening hours is 9 am – 6 pm. You won’t get bored here. There are lots of things to do in Puri Lukisan Museum. Renaissance Museum Antonio Blanco is located in Campuhan Street, Ubud, Gianyar Regency. The admission is Rp 30,000 for domestic tourists and Rp 50,000 for foreign tourists. Opening hours is 9 am – 5 pm. There is something missing if you are on vacation in Bali but have not tasted typical Balinese cuisine. Balinese cuisine has its own charm for the foodies because it is always blended with strong spices. On the sidelines of adventure from one attraction to another, you can taste the delicious Balinese cuisine. Some of the typical Balinese cuisine you should try are: Chicken Betutu that has a spicy taste and baked for 24 hours; Satay Lilit that is soft and savory made of chicken, pork or mackerel; Lawar which is a mixture of vegetables and minced meat cooked specifically using Balinese spices; Roasted Pork that is soft, crunchy and rich in spices. Balinese cuisine is easily found in restaurants in Denpasar, Kuta, Sanur, Jimbaran and Ubud. Bali is identical with the beach. No wonder there are many beach clubs that pamper visitors with the concept of relaxing by the beach while enjoying food and drinks. After a tired walk, you can chill out by enjoying the cocktails and watch the sunset while feeling the soft sand beach at your feet. The food served at the beach club is varied. You can choose typical Indonesian snacks or popular snacks such as pizza and burgers. The menu is available from Indonesian food, Japanese food to Western food. The atmosphere becomes more cozy with a soft music bounce. Seminyak, which is about half an hour drive from Ngurah Rai International Airport, is a place that is famous for its cool beach clubs. One of the favorites is Potato Head Beach Club located at Petitengget Street, Seminyak. There is something incomplete if you are on vacation in Bali but come home without any souvenirs. 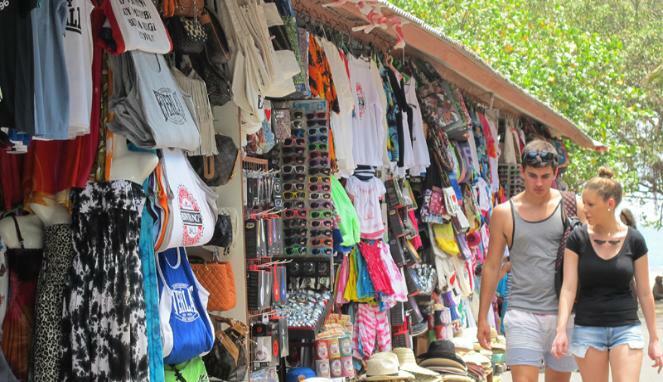 Bali is a shopper’s paradise. 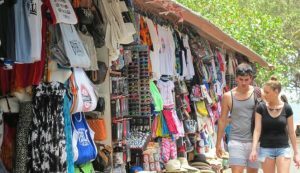 There are many nice shops in Bali fighting over your money. Here you will need the skill of bargaining. If you are not good at haggling, you need to be smart to shop at stores that offer a fixed price. Stylish boutiques and eclectic shops will tempt you to walk in and have a look. The local market has a variety of souvenirs and colorful fabrics with beautiful motifs, many of which are made of silk. If you want to feel the nuances of high-class shopping, come to high end shops in Seminyak. As a solo traveler, you have the freedom to do shopping according to passion and money in your wallet. Some places to buy souvenirs are: Sukawati Market in Gianyar that sells various kinds of Balinese art and apparel items; Ubud Market in Ubud that sells wicker bags, Balinese traditional clothes and Balinese handicrafts; Kuta Art Market in Kuta that sells Balinese T-shirts and craft items; Kumbasari Market in Denpasar that sells Balinese souvenirs. You must watch Balinese dance performance while in Bali. Ubud has many places that show Balinese dance performances. Among them the most famous are Pura Dalem and Padang Tegal Kaja. The favorite dance is the Kecak Api dance which is staged only at night. Barong dance is also in demand by tourists. It requires two male dancers to perform Barong dance. A front dancer has the task of moving the head and front legs. While a back dancer has the task of moving the tail and back legs. The dance is staged in the morning. Ubud is located in Gianyar Regency. It’s about 1.5 hours from Ngurah Rai Internasional Airport. The admission to watch Balinese dance is Rp 75,000 – Rp 80,000. The morning show starts at 9.30 am and the evening show starts at 6.30 pm. Indonesia consists of thousands of islands and hundreds of ethnic groups that have different cultures. The diversity influences the cuisine in every region of Indonesia. 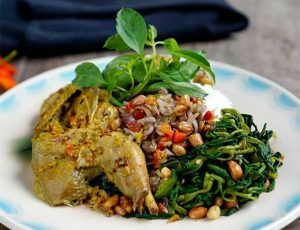 Balinese cuisine has a distinctive taste that is different from Javanese cuisine for example. Joining cooking class is a fun experience. You will study in a semi-outdoor room overlooking a verdant rice field; visit local markets to shop for spices, seasonings and ingredients; and cook local cuisine in the traditional way. Joining cooking class will not only add insight, but also peek into the daily routine of rural Balinese. There are many places that offer cooking classes. The most famous are the Paon Bali Cooking Class in Laplapan Village, Ubud and the Lobong Cooking Course on Kedewatan Street, Ubud. Vacation in Bali is to get a memorable experience. The Bali’s beautiful nature and warm tropical weather are fit for outdoor activities that boost adrenaline. The right time to show off, such as sunset, can also create a magical atmosphere. You can test your guts by trying bungee jumping and paragliding. Bungee jumping with spectacular views is available in Seminyak Beach area. With a height of 45 meters, only the brave and adrenaline junkies who will jump. As for paragliding, Bali has Timbis Hill as the perfect spot. The combination of the high rise with the blue sea, the beautiful white sand beaches, and the green of the trees produces spectacular panoramas. Seminyak Beach is located at Seminyak Village, Kuta, Badung Regency. It’s about half an hour drive from Ngurah Rai International Airport. Timbis Hill is located in Kutuh Village, South Kuta, Badung Regency. It’s about 40 minutes drive from Ngurah Rai International Airport. Bali is not the only place to test your guts. There are also a lot of extreme things to do in Indonesia. Ok guys, now you know the awesome things to do in Bali for solo travelers. Take the time to come, strengthen your heart and get lost. Let’s visit Bali Indonesia.